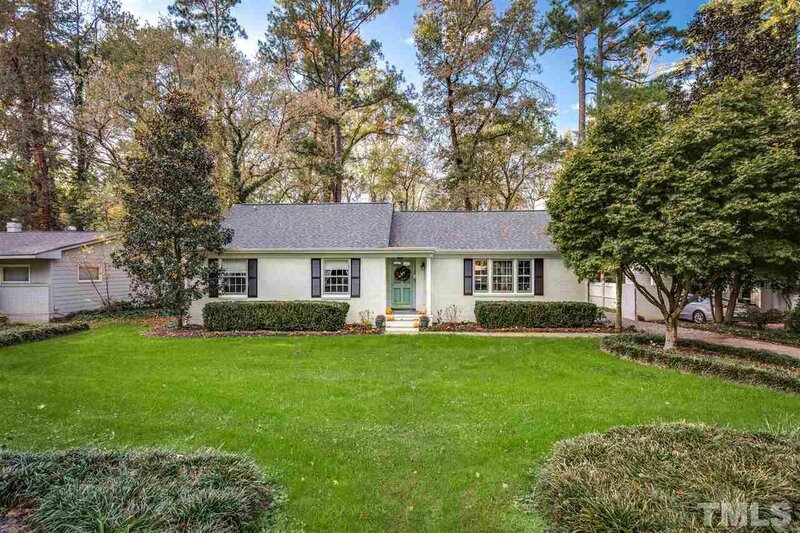 CHARMING 3BR, 2BA BRICK RANCH IN SOUGHT AFTER ITB WHITE OAK! NEW HVAC 2016, NEW ROOF 2015, KITCHEN JUST UPDATED WITH ALL NEW CABINETS, GRANITE COUNTERTOPS, TILE BACKSPLASH, STAINLESS STEEL APPLIANCES, DEEP STAINLESS APRON SINK, COMPLETE WITH BAR SEATING. HARD WOOD FLOORS THROUGHOUT JUST REFINISHED LESS THAN A YEAR AGO. NEWLY PAINTED THROUGHOUT. BATHROOM UPDATED VANITIES. BRAND NEW FIREPIT AREA JUST INSTALLED & NEVER EVEN BEEN USED! THIS HOME IS TURN KEY! Listing courtesy of Fonville Morisey/Drum Realty Group, LLC. Selling Office: .